I’m going to retire from road racing and run only trail runs from here on (maybe!). You can’t beat the feeling of running on a dusty, shaded trail through towering redwoods in the Santa Cruz mountains. It’s so magnificent that the 1,000 foot climb even seems like a reasonable trade-off. What a great way to celebrate the half-way mark — we’ve now run 26 of the 52 races we’ve committed to run as a fundraiser for the GBS/CIDP Foundation. The magnificent trails of Huddart Park near Woodside, CA. 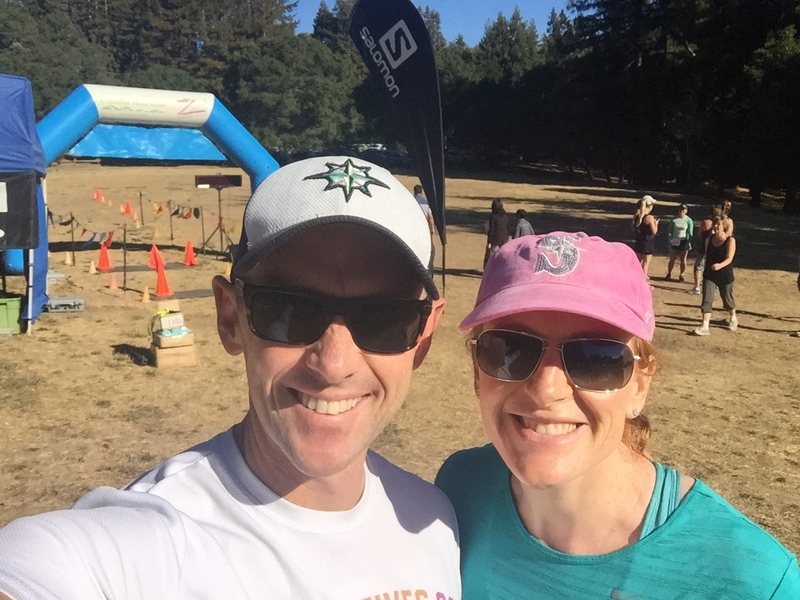 Anyway, today’s race was the Crystal Springs Trail Run 5 mile. 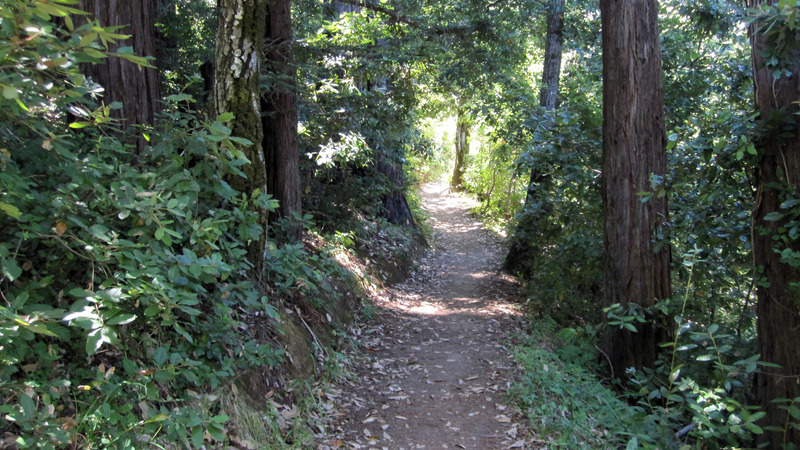 The race starts at Huddart Park near Woodside CA, and meanders mostly on single-track dirt trail through the woods. The race starts with some downhill — a nice warmup — and then climbs for around three miles, and finishes with a near-sprint on a fire trail for a mile. The elevation profile of the Crystal Spring 5 miler. The first mile or so was steady and slow. It’s a very narrow single-track, so there’s pretty much no overtaking, and we were way back in the pack and it wasn’t too fast. We left plenty of room in front of us so we could see rocks and roots on the trail, and navigate them carefully — at least two or three people twisted ankles or had other mishaps from going a little too hard or getting a little too close to the person in front. You’ve got to take it easy when trail running. After the mile, I probably passed 20 or so people during the climb on the wider trail. In the end, I finished 15th or so, and Selina finished 20th. We certainly weren’t trying to do a great time or win the race, but my mountain goat legs certainly help me get into contention when there’s hills involved. It’s been a monster week for exercise in our family. It’s time for a rest, recharge, and some planning for next week’s racing. Have a great week! Previous PostWeekly update: $42,479 raised, and a quarter of a century of races!Next PostWeekly update: HALF WAY to our racing goal!